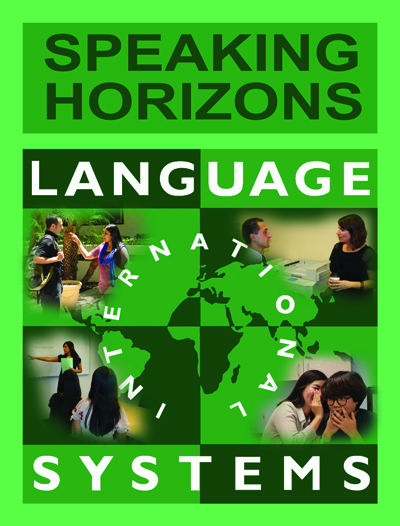 Language Systems takes pride in creating its own proprietary material for students in the ESL program. 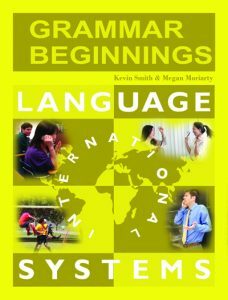 Grammar Beginnings is an introductory-level grammar book designed to introduce students to basic grammar terminology and rules. 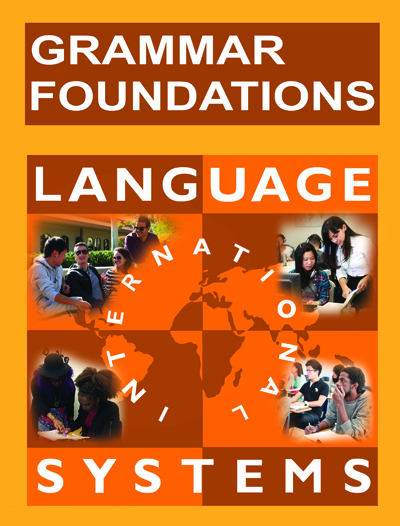 Featuring simple, easy-to-follow charts and skill-building exercises, beginning students are encouraged to learn both survival English and the grammar fundamentals necessary for future English language studies. Interactive exercises, including audio supplements and targeted conversation prompts, encourage students to use newly acquired grammar skills in communicative ways. Reading Beginnings is an introductory-level reading book focused primarily on the vocabulary students need for basic, everyday English, as well as an introduction to basic reading skills such as context clues, main ideas and scanning. After the initial 10 units of vocabulary- and skill-building exercises, students practice vocabulary and reading skills in a 2-unit novelette that both reviews and builds on what was learned throughout the book. 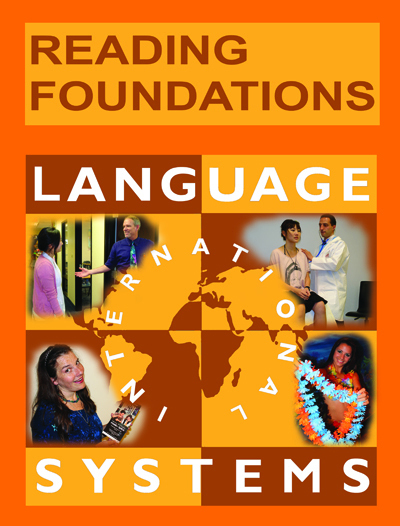 Reading Foundations is a beginning-level reading book aimed at giving students basic comprehension skills while also teaching students the fundamentals of acquiring and using new vocabulary. 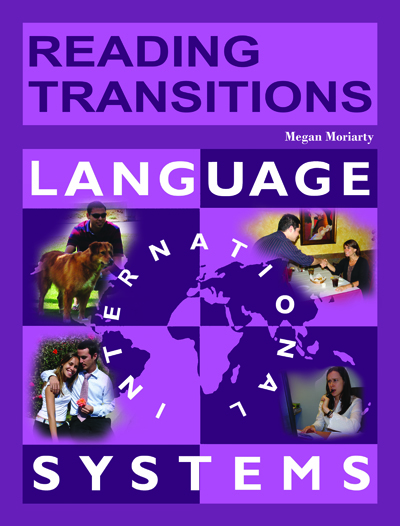 Introductory reading skills, such as predicting and the process of elimination, are introduced and further developed with contemporary topics, and the form and function of new vocabulary is emphasized. A 2-unit novelette at the end of the book reviews and expands on the vocabulary and reading strategies taught in the first 10 units. 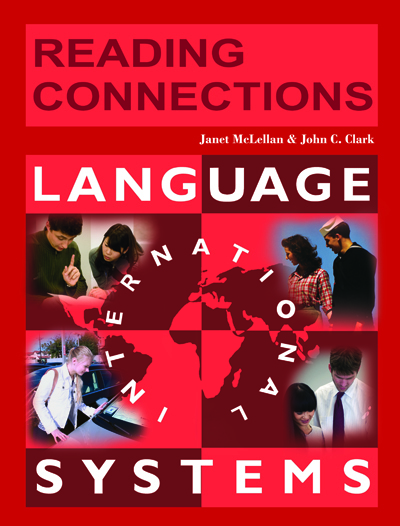 Reading Connections is a reading book for high-beginning students that both solidifies the foundation established in lower levels and prepares students for the more rigorous academic studies to come. With topics ranging from pop culture and animals to architecture and American history, the 10 units reinforce previously taught reading skills such as context clues and main ideas while introducing more complex skills, such as inference and paraphrasing. A 2-unit novelette gives the students a chance to utilize newly acquired vocabulary and reading skills. 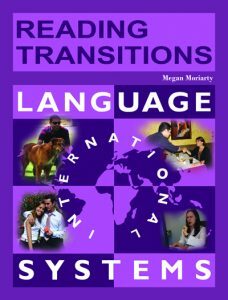 Reading Transitions is an intermediate-level reading book with 12 units featuring a variety of cultural and academic topics. 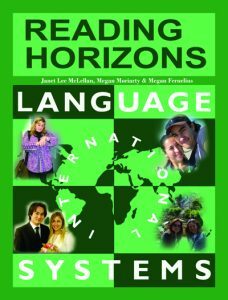 In addition to emphasizing students’ comprehension, fluency and ability to use the reading skills taught in previous books, more complex skills such as summarizing, comparing/contrasting, and understanding point of view are presented and practiced. Vocabulary terms and expressions are introduced, reviewed and expanded on extensively through interactive exercises and discussions. 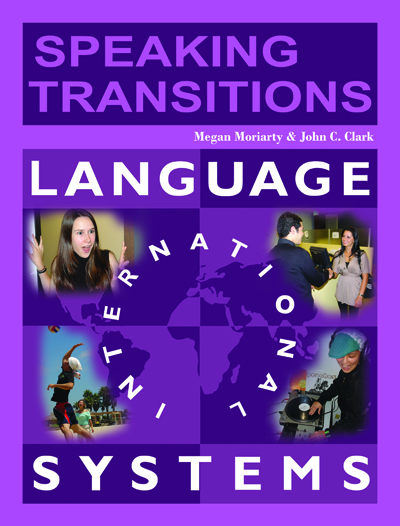 Speaking Transitions is an intermediate-level listening and speaking book revolving around everyday conversations and academic lectures, with 10 lesson units and two review units. Students are introduced to relevant vocabulary and idiomatic expressions throughout each unit, and special focus on pronunciation and grammatical usages of these new terms and expressions gives students what they need to speak more confidently. In addition to the speaking skills necessary for this level, listening skills are also intensively practiced through a variety of interactive exercises, and discussion topics and questions encourage vocabulary review and the development of critical thinking skills. Reading Savvy is a reading book with 8 units of current cultural and academic topics for high-intermediate students, letting teachers pair the text with a novel or set of short stories at the end. Each unit builds on the reading skills introduced in earlier reading books through more involved and engaging reading passages and activities. Relevant vocabulary and context skills are developed and reinforced in each unit. Topical and vocabulary-based discussion questions help students understand the material and express their opinions with increased confidence. 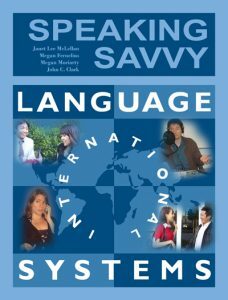 Speaking Savvy is a listening and speaking book for high-intermediate classes with 10 lesson units focused on topics as various as relationships, business and even crime, with two review units to supplement what students have been taught. Each unit builds on the listening and speaking skills introduced in earlier books through engaging monologues and dialogues as well as interactive activities. Relevant terms and idiomatic expressions are introduced and reinforced throughout each unit, and discussion topics and questions encourage review of vocabulary and development of critical thinking skills, along with the speaking skills necessary for this level. 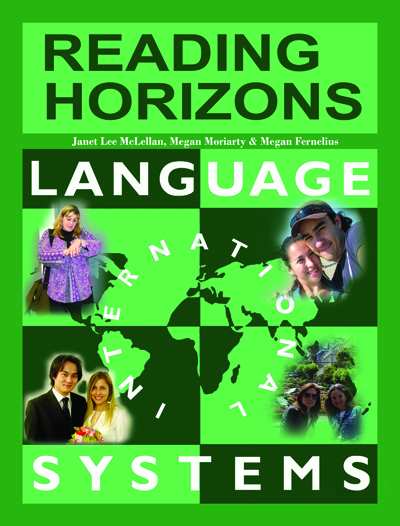 Reading Horizons is a reading book for pre-advanced students, consisting of 8 units with diverse topics, allowing instructors to pair the text with a novel or set of short stories to utilize the reading skills taught. In addition to reinforcing the necessary reading skills already taught, the passages provide students with an engaging look at American culture. 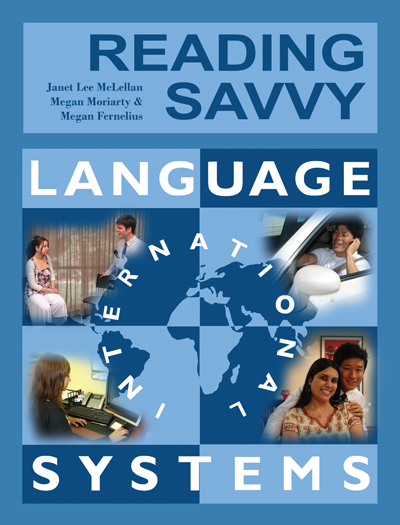 More academic terms and expressions are presented along with standard relevant vocabulary to help students who are considering entry into an English-speaking education system. 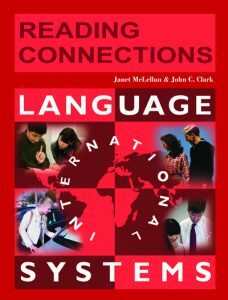 Like with the other texts, activities, assignments, and discussions strengthen comprehension and communication skills. 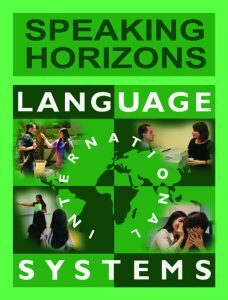 Speaking Horizons is an advanced-level listening and speaking book built around everyday conversations (in both personal and business environments) and academic lectures, with 9 lesson units and 3 review units. Containing longer, more complex dialogues and monologues than earlier levels, each unit is designed to review listening and speaking skills previously introduced. Additionally, each unit focuses on new terms and idiomatic expressions and fine tunes students’ pronunciation and listening skills in order to make them more confident English speakers. 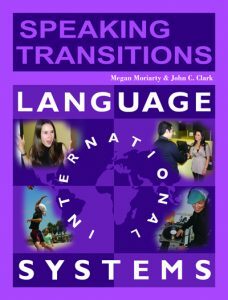 In addition to the above texts, Language Systems’s Publishing Department has 6 other books currently in various stages of development. Check back later to find out what’s new!